Simon and Keith joined forces in 2006 on a mission to create awesome Pies, Pasties, Pork Pies and Sausage Rolls down here in the West Country. Both come from Award Winning catering backgrounds, and where desperate to produce the best pies and pasties in the South West. 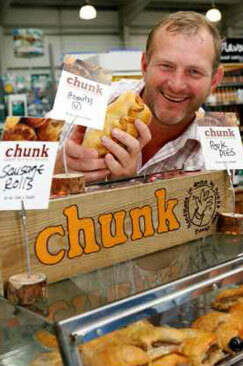 Chunk are proud that their Pork Pies have won Taste of The West awards for two consecutive years. Made with local fresh ingredients and a proper hot water pastry - and just the right amount of jelly - they are truly delicious! 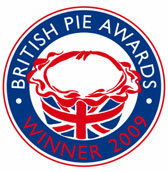 Chunks Steak & Ale Pie and the Roast Vegetable Pasty were also winners of a Bronze Award with Taste of the West in 2008 - all in all a good year!